The Call for Entries for the DepicT! 2013 super short film competition has been opened! 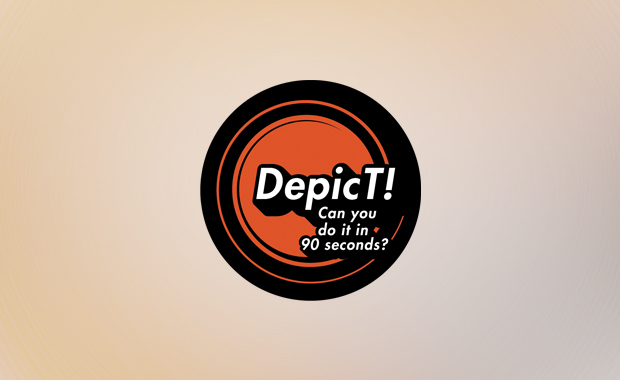 The organizers are delighted to announce that DepicT is once again challenging filmmakers across the world to create a masterpiece in just a minute-and-a-half! Whatever your budget, whatever your genre, they want your shorts. This is your chance of winning £1500 prize money, a slot on Channel 4, invaluable industry exposure, and other exclusive prizes. DepicT! is now in its fourteenth year and prides itself on the quality of its little gems, not to mention the quality of the filmmakers who submit them. Previous DepicT! winners have had their work screened at international film festivals, been picked up by commercial distributors, and carved themselves strong and successful careers in the film industry – even being recognised as Stars of Tomorrow by industry magazine Screen International. The Competition is open to short films of all production techniques, including animation, documentary, drama, experimental or artist film and hybrid work. Advertisements will not be accepted. Only films completed since September 2012, with a substantial British contribution in the following areas: director, producer, writer, principal cast and crew, production company, finance, are eligible to compete. Every year, the shortlisted DepicT! filmmakers are given the opportunity to network at Encounters Short Film and Animation Festival (17-22 Sept 2013), the UK’s longest running competitive short film and animation festival held right here in Bristol. While at the festival they get priceless exposure to distributors, producers, funder, exhibitors, other filmmakers, and enthusiastic fans of the short film format. Please find all details on the official website.